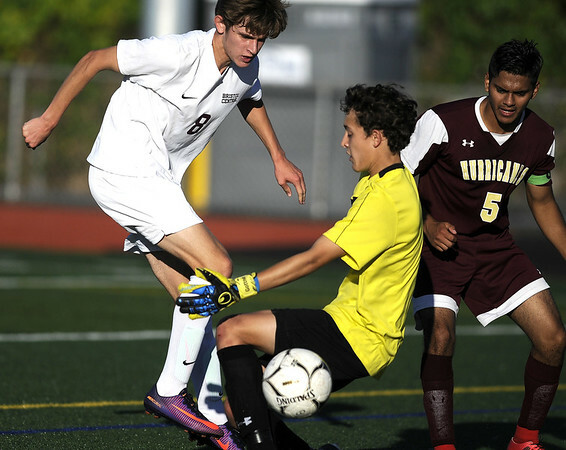 The area high school boys soccer teams are kicking off their seasons and there is a lot of optimism to go around. As in most other sports, some teams are ahead of others, but every team still has room to grow. Berlin, Plainville and Southington are all teams coming off excellent 2017 seasons and are expecting to compete in their respective classes again this year. All three may have lost some key pieces, but have plenty of talent returning to make up for those losses. Below those three schools are Innovation and Newington. The Ravens qualified for the postseason tournament, during their first year as a program and have the potential to make even bigger strides this season. The Indians fell shy of the tournament but are hoping to return this season. Finally, there is Goodwin Tech and New Britain. The Gladiators won just a single game in 2017 after winning just a single game the year before. But Goodwin Tech has a group of young players returning that saw plenty of action, which should help. The Hurricanes, meanwhile, have taken strides backwards, it is up to third-year head coach Garth Lawrence to get them back on track. Outlook: It was one step forward and two steps back for the Hurricanes last season. New Britain went from winning just four games in 2015, to seven in 2016. Last season, it dropped its win total back down to four. Head coach Garth Lawrence will now have the task of having his team make another jump in his third season at the helm. But New Britain will also have to replace some of players that made such a difference at times last season. It should help that the Hurricanes have some young talent returning, highlighted by junior goalkeeper Adam Gotter. Overall, this should be an interesting team to watch this season. Outlook: The Redcoats graduated 12 seniors last season, eight being varsity starters. Berlin coach Sal Parafati will be looking to the current seniors and underclassmen to take ownership of the team and to fill in the gaps left by the departing class. Replacing All-New England forward and main offensive threat Noah Silverman, who is now at CCSU; All-State midfielder Ryan Jenkins; and all-conference midfielder Curtis Arcari will be a struggle, but Parafati believes that his senior group is up to the challenge. As such, Berlin expects nothing short of competing for a conference title as well as making sure its run in the postseason lasts longer this time around. Outlook: Newington was another team that made strides in 2017 and will look to continue to do so this season. Head coach Jeff Brunetti lost some key players in Jared Galarza and Mike Ganley, but returns a squad filled with veteran talent along with plenty of promising newcomers. Goalkeeper Jack DeGirolamo and center back Aslan Tate highlight some of the key players returning. The defense will be something to keep an eye on with the Indians returning both of their starting goalkeepers, who have the ability to play at the college level Brunetti said. Both Jack DeGirolamo and Collin Liedke have been competing for the position and are extremely close in skill. The defense around them should be strong. The only weakness the Indians have is their size. Outlook: If one thing is always expected out of the Blue Knights, it’s that they are to be in contention in either the conference or in the state tournament mix. This year is to be no different. Southington returns several key players from a season ago, but will it be able to replace goalkeeper Evan Daddona, who is now at the University of Hartford. Returning to the field will be top scorer from last season Joe Colaccino. He will be playing both forward and center midfield. Also returning will be Eli Rodriguez. He has been the mainstay in the Blue Knights defense for the last two seasons. The big question will be whether or not the team can score enough goals to compete with the likes of Glastonbury, Farmington and Hall. Outlook: It seems like every year the Blue Devils play their way to the Class M playoffs. Last season was no different despite some tough results along the way, but another playoff run is expected this year. Plainville did lose a number of its core players to graduation, but brings back enough talent to supplement those losses. Sergio Zaldivar returns to anchor the team in net, while head coach Tim Brown has a myriad of offensive weapons, including Dane Stephens. Brown expects some of the games his team plays to be difficult once again, but those will only serve to have tested Plainville once it’s back in the state tournament. Outlook: The Gladiators are coming off a year in which they were slightly better than they were in 2016, winning one game and tying four. As such, there is no place for Goodwin Tech to go but up with second-season coach Ronald Murray. The Gladiators did lose a majority of its defense and has a roster which features six seniors and seven juniors. While there is expected to be some growing pains along the way, it will just be a matter of if the team can learn and grown from them. Outlook: The Ravens saw plenty of success as a first-year program in 2017 and now it will be a matter if they can replicate that and continue to grow. They certainly expect to with a solid core of players returning with some quality experience. Defensively Innovation returns a lot of experience and is expected to be strong this season, anchored by Lester Emmanuel and Julian Figueroa. But it will have a difficult time replacing forward Imani Samuels, who scored 20 goals for the Ravens last season. Midfielder Clinton Allen and Alonzo Hill should be able to help in that. Overall, it should be a good year for the Ravens. Posted in New Britain Herald, Berlin, Goodwin Tech, Innovation, New Britain, Newington, Plainville, Southington on Tuesday, 4 September 2018 21:01. Updated: Tuesday, 4 September 2018 21:04.